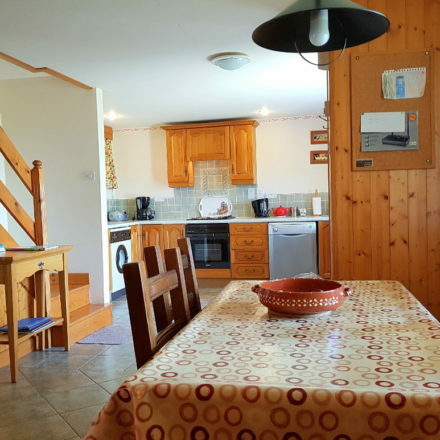 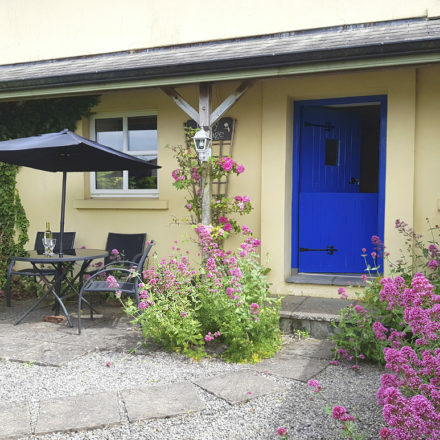 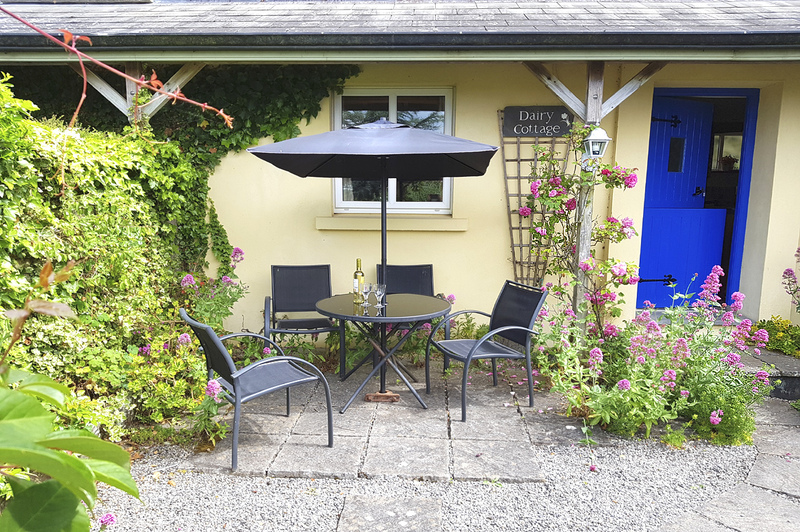 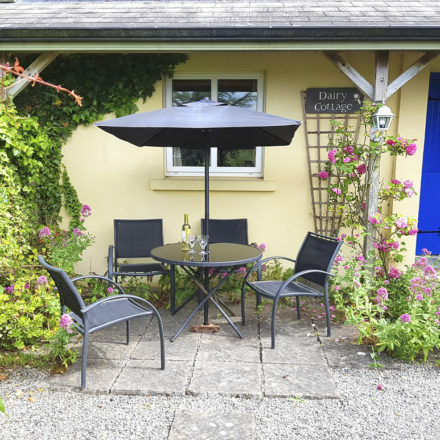 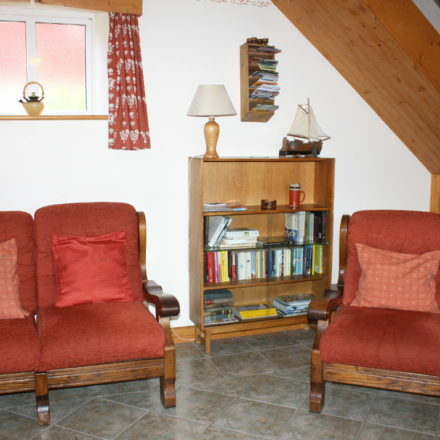 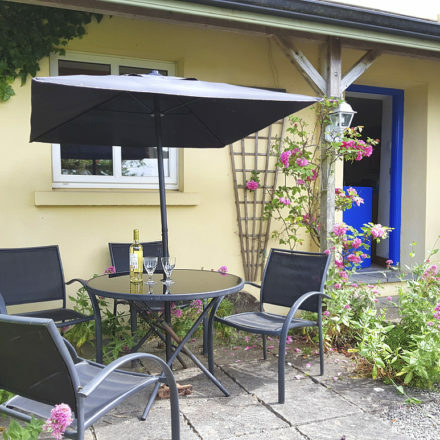 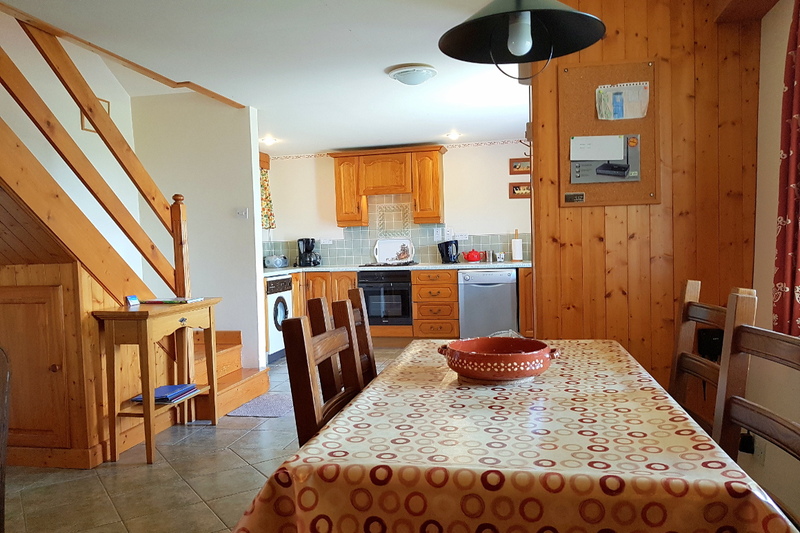 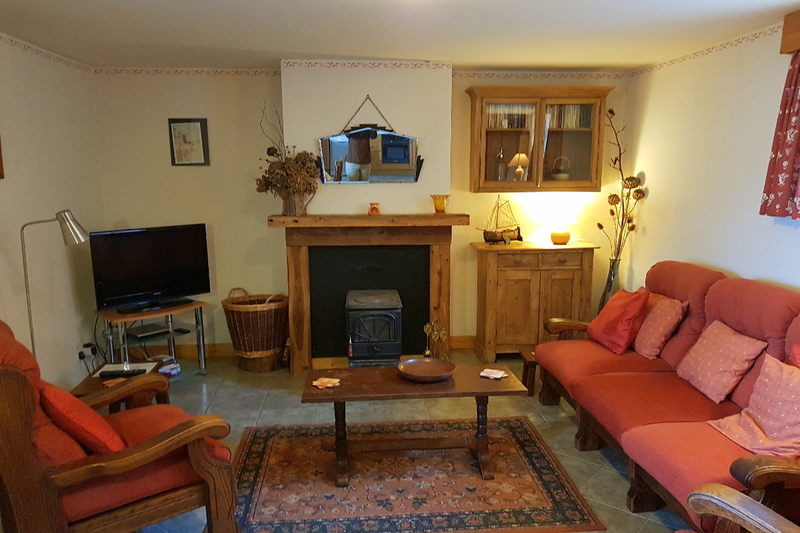 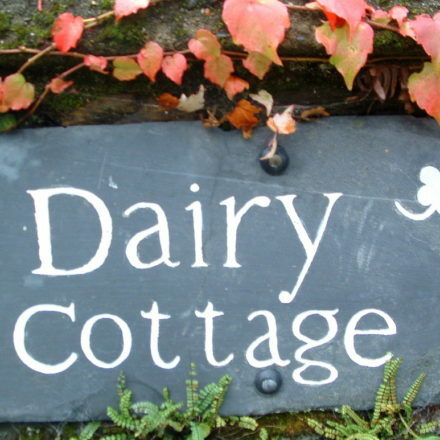 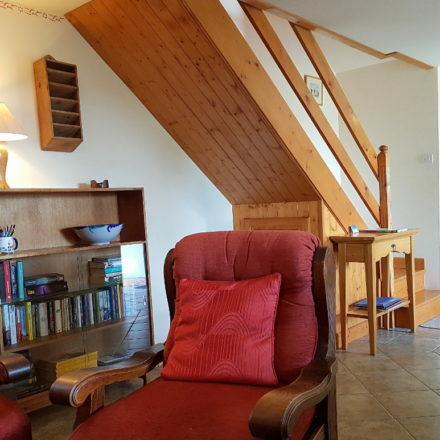 Dairy Cottage is a delightful cottage with wonderful Irish countryside views. 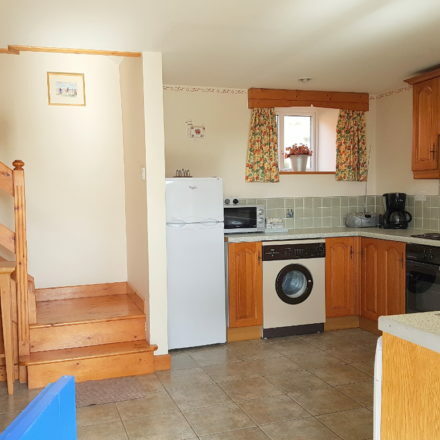 A quirky blue half-door welcomes you into an open plan kitchen and living area with a wood-burning stove. 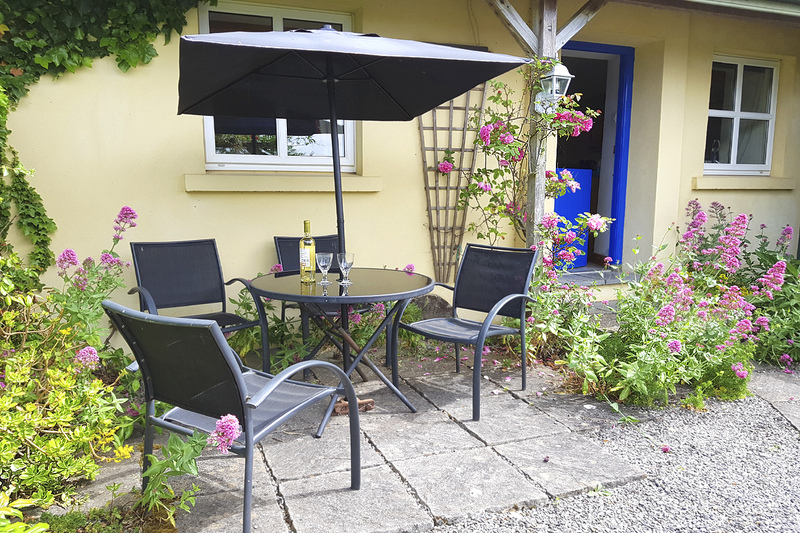 The south-facing private patio garden with garden furniture and BBQ is located within lovely award-winning fragrant courtyard garden. 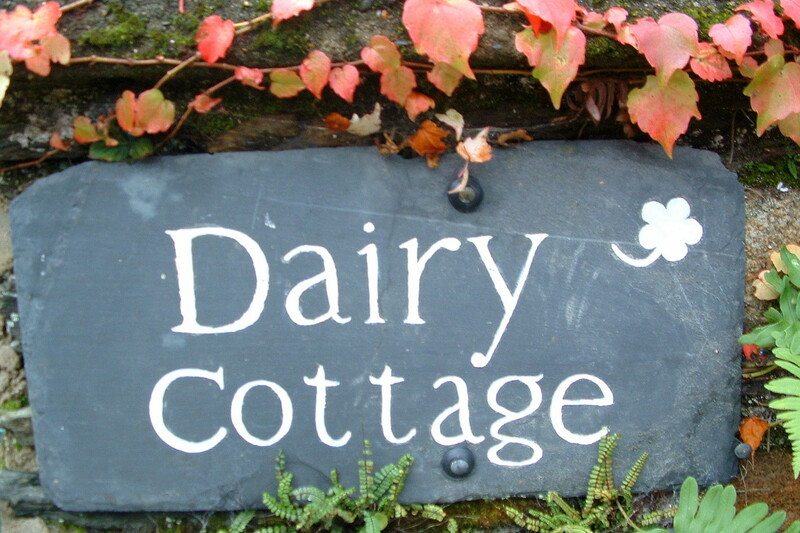 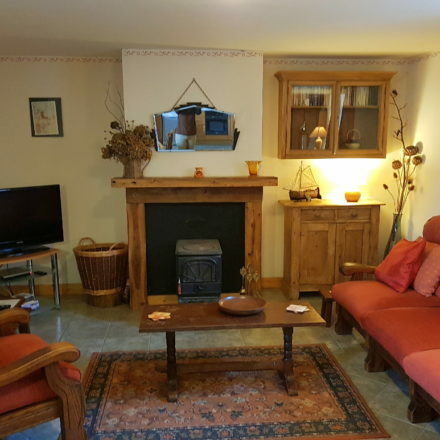 Dairy Cottage was the farm dairy in bygone years which has since been converted into a lovely two-bedroom house with its own private patio. 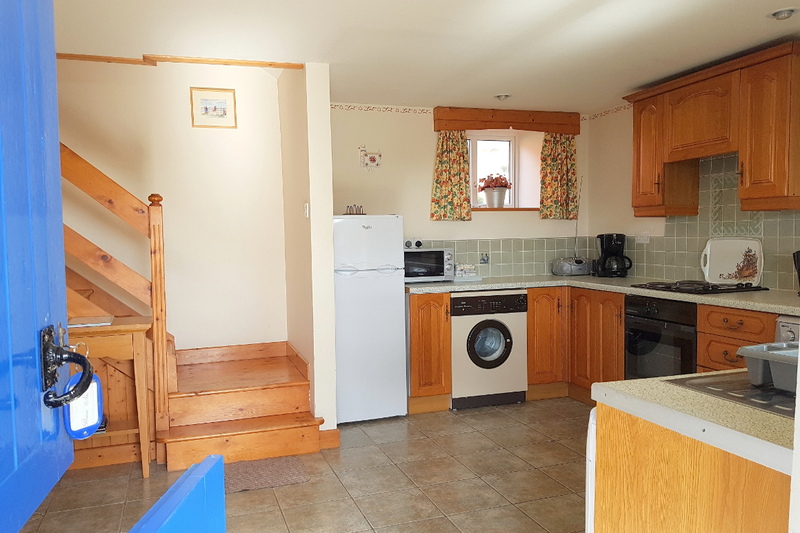 This delightful cottage has a very intimate feel, which is enhanced by pretty wall stencils and little finishing touches to ensure that the cottage really feels like a home away from home! 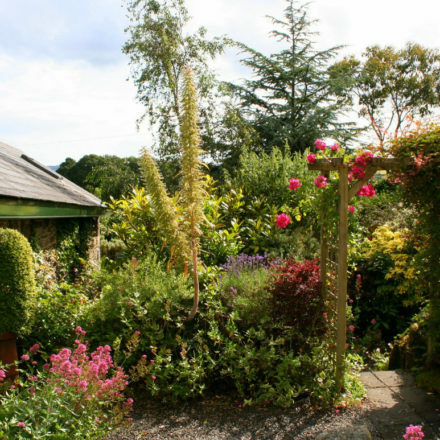 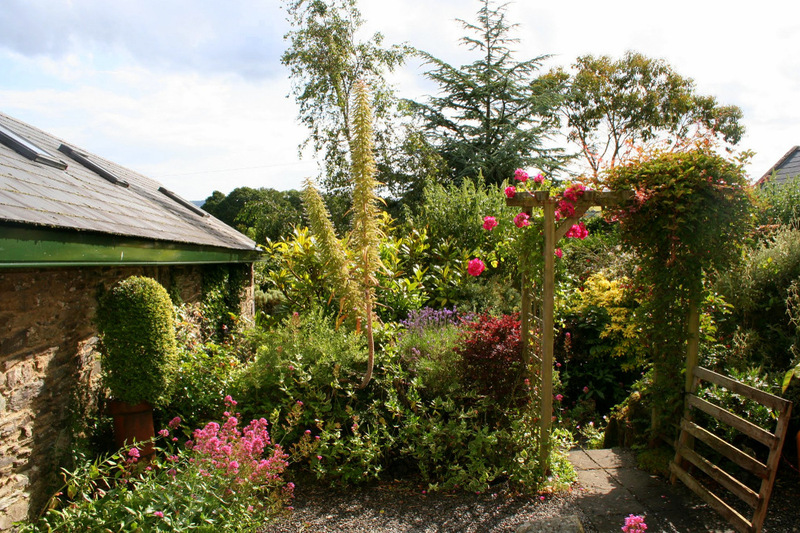 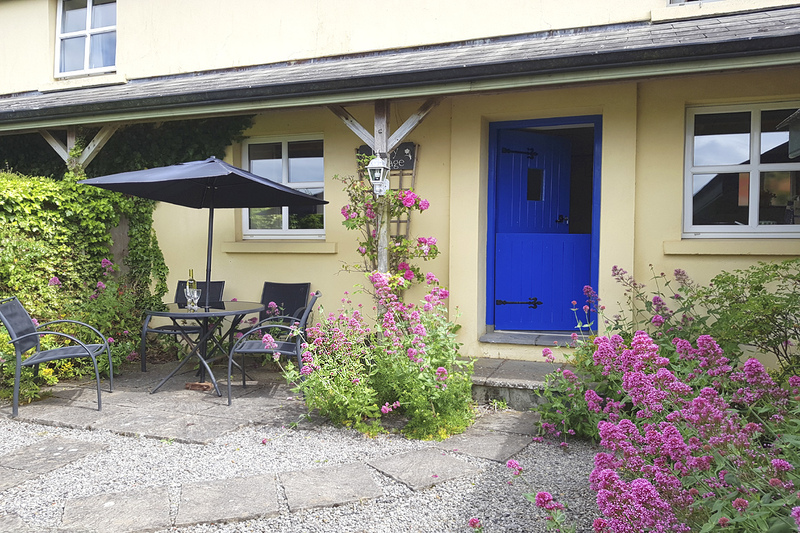 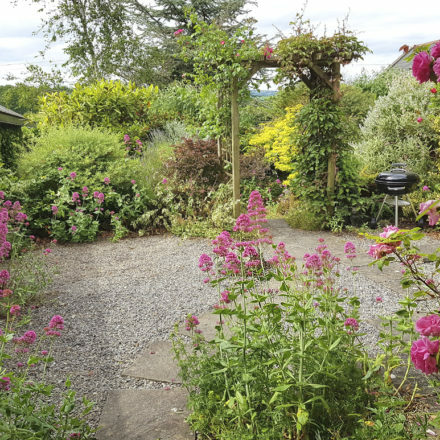 Dairy Cottage has a blue half-door which overlooks its own pretty garden, the larger shared garden and the surrounding countryside. 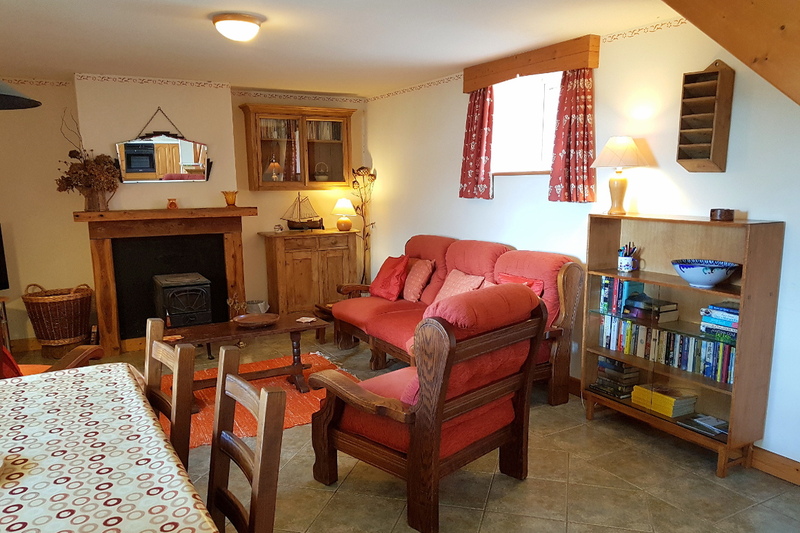 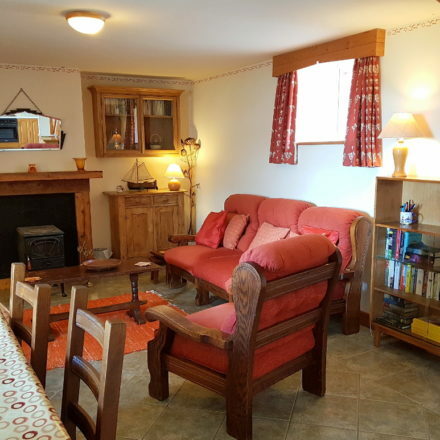 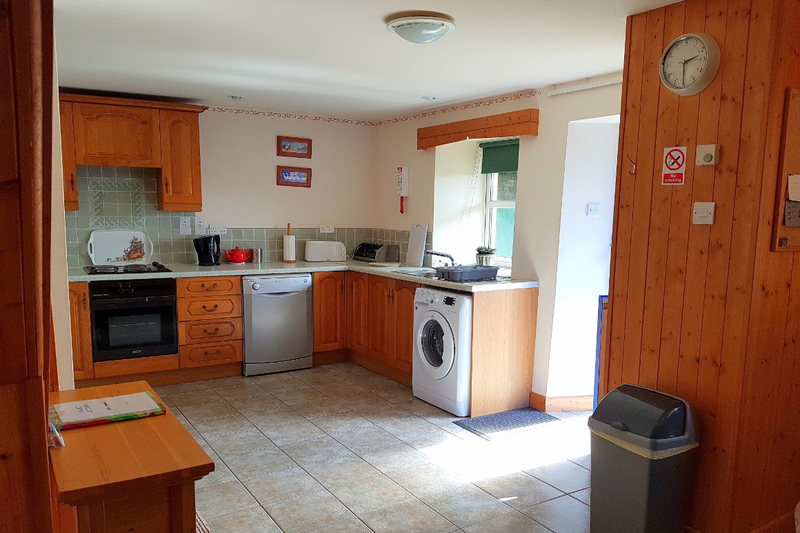 On entering the cottage you will find a large open plan kitchen and living room. 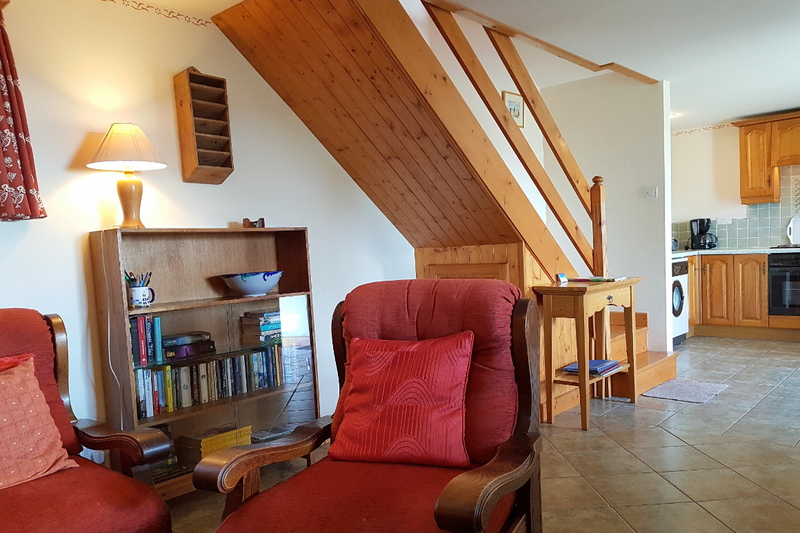 The comfortably furnished lounge has a wood-burning stove a well-stocked bookcase making it easy to curl up and read a good book in the evenings. 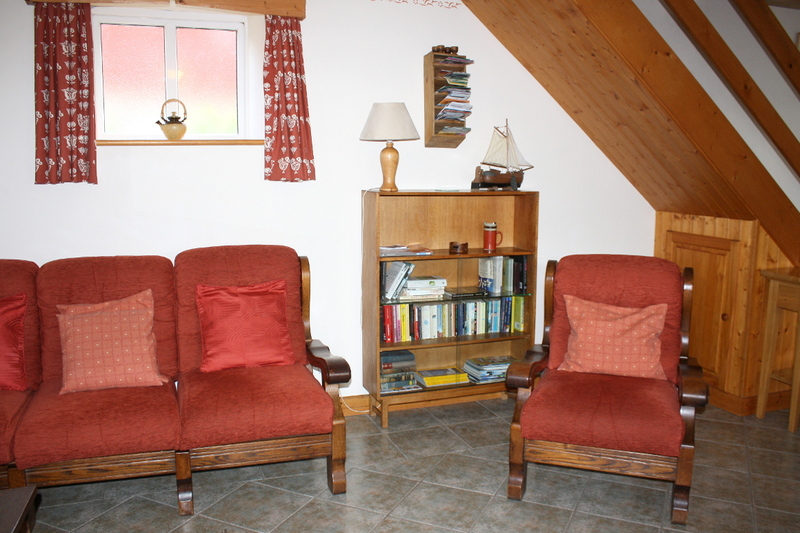 There is a large flat screen Satellite TV with Irish and English channels and lots more, as well as a DVD player. 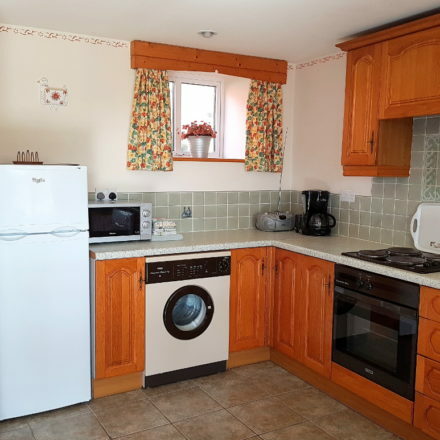 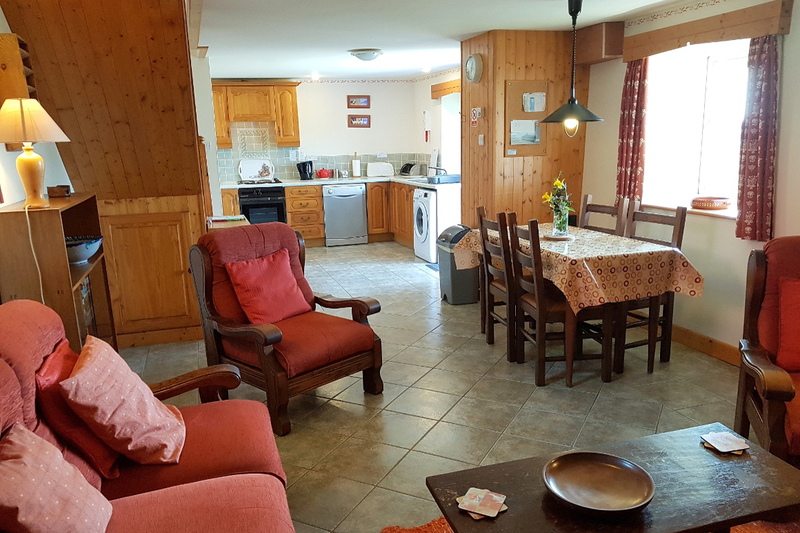 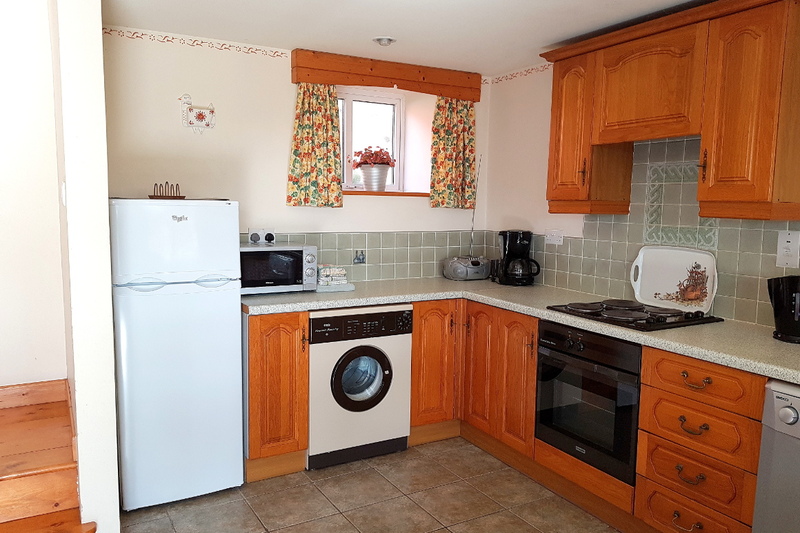 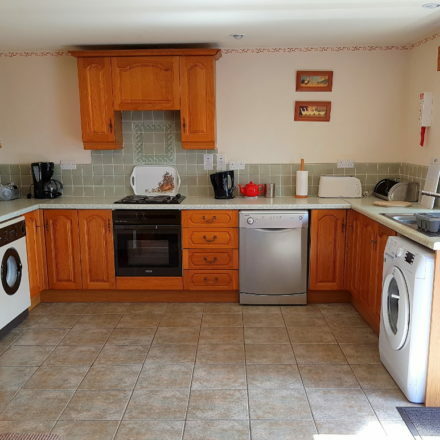 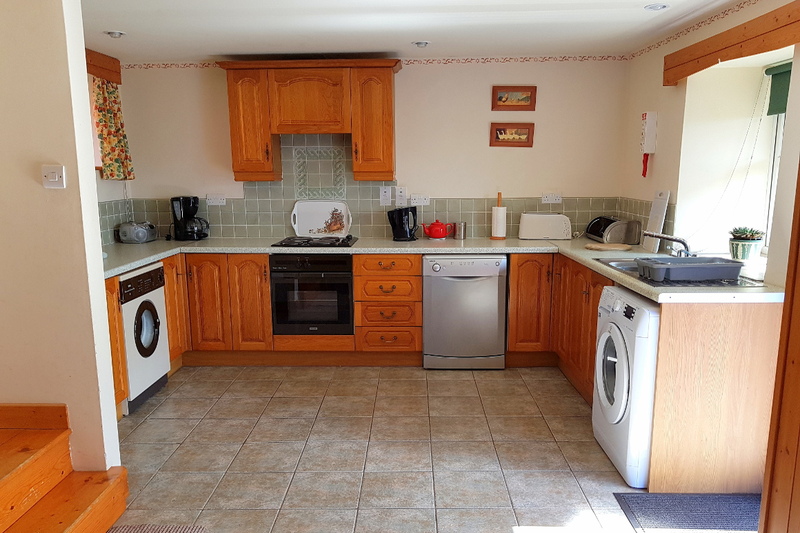 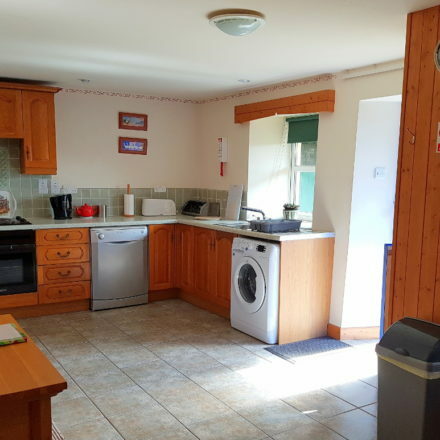 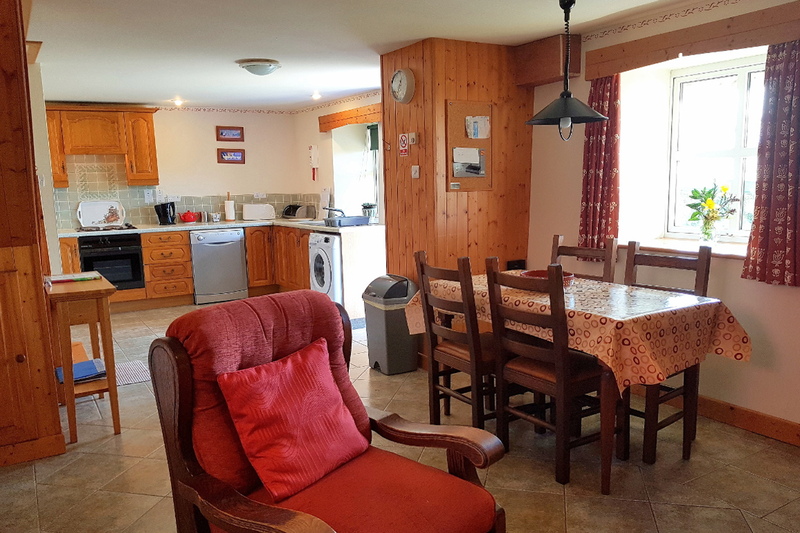 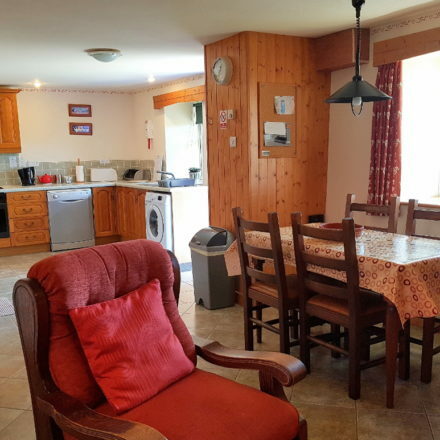 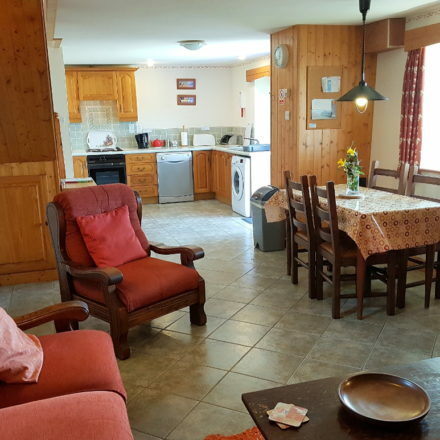 The large kitchen is equipped to the highest standards with an electric hob and oven, microwave, fridge/freezer, dishwasher, coffee-maker, washing machine, tumble dryer, iron, ironing board and radio/CD player. 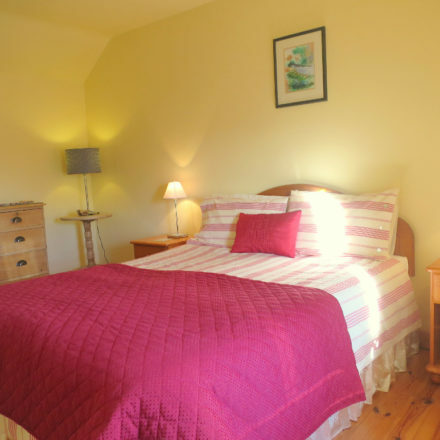 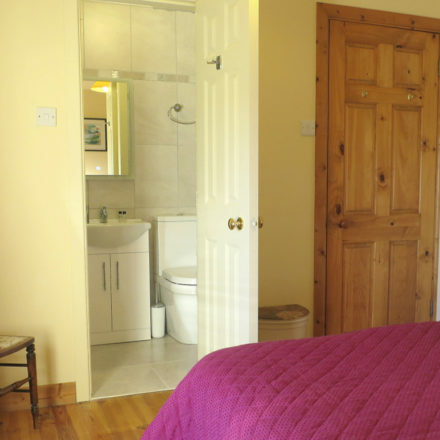 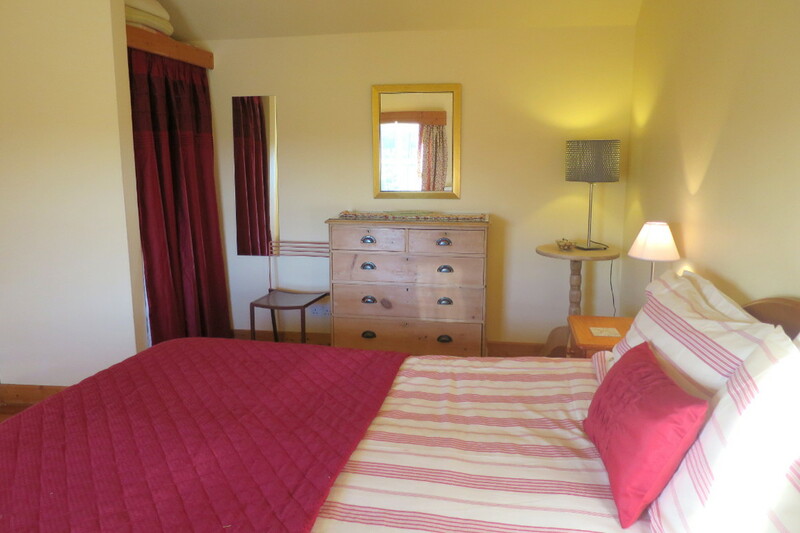 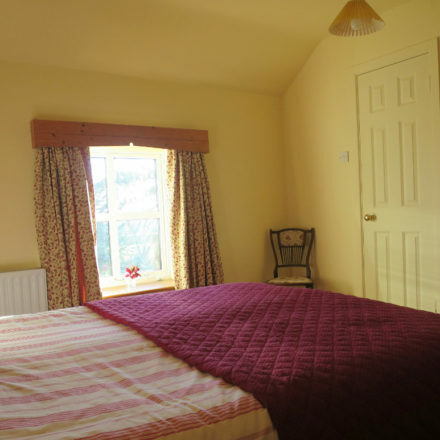 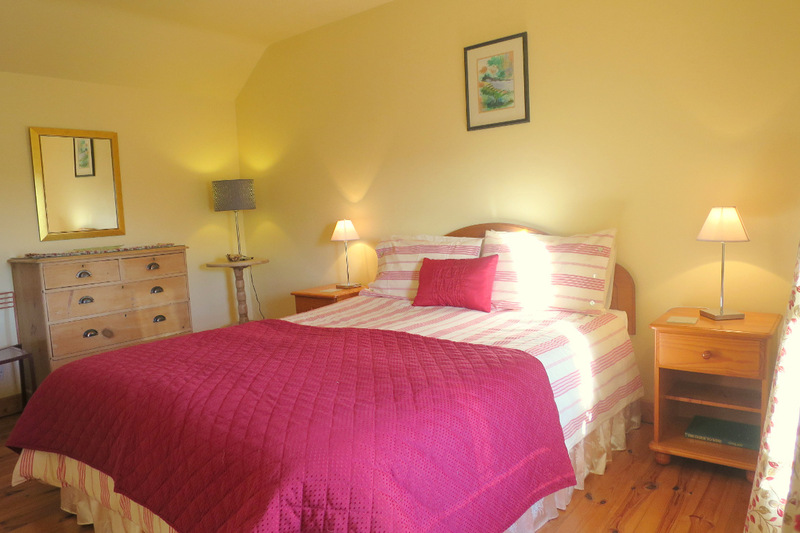 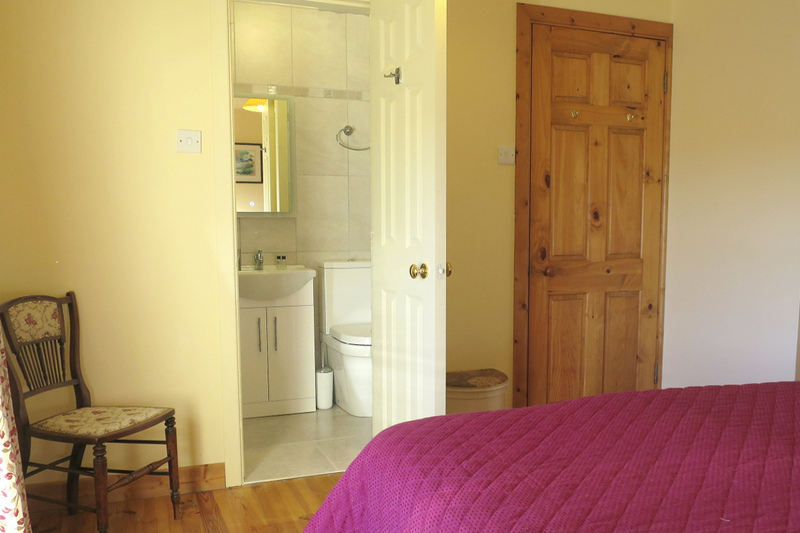 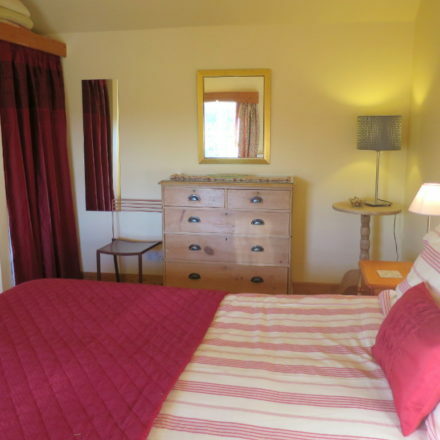 The master bedroom has a large 5 ft double bed and pretty views of the garden and countryside. 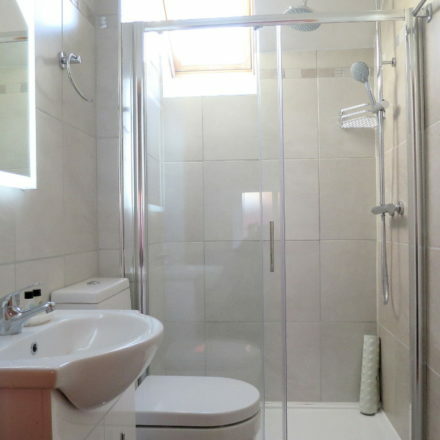 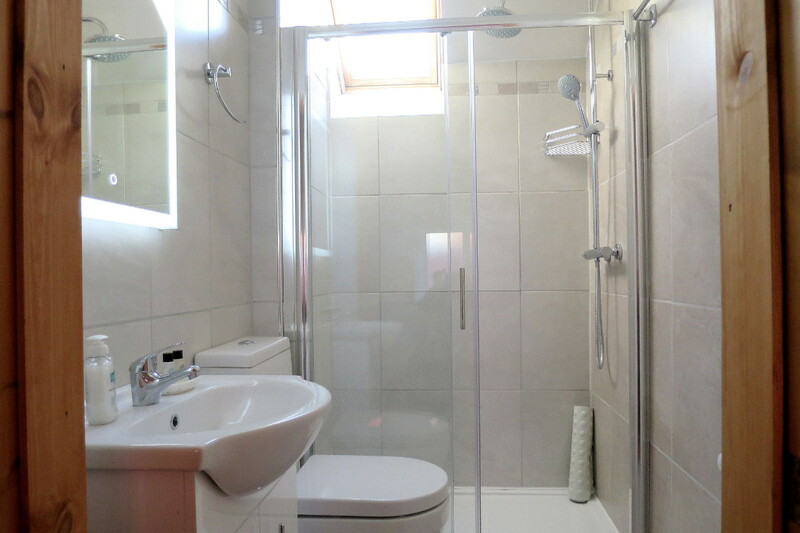 A new en-suite shower room has a large shower with a rainwater and hand shower, a toilet, and hand basin with vanity unit and a demisting mirror. 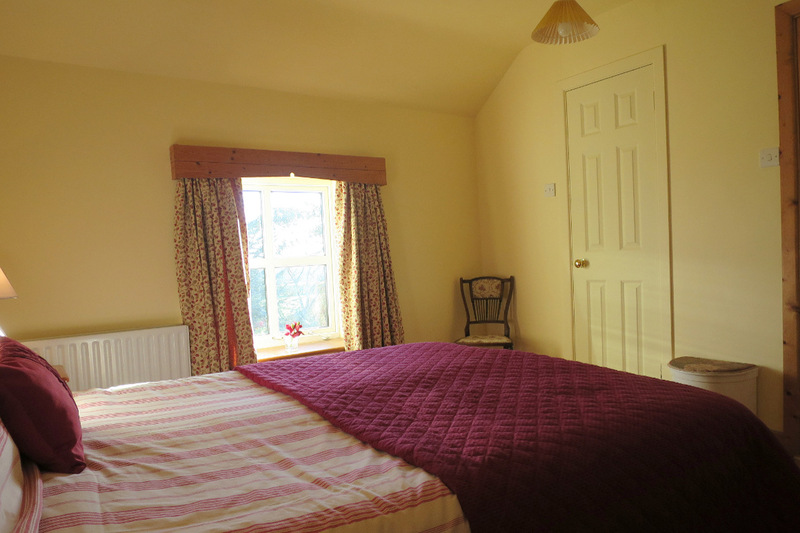 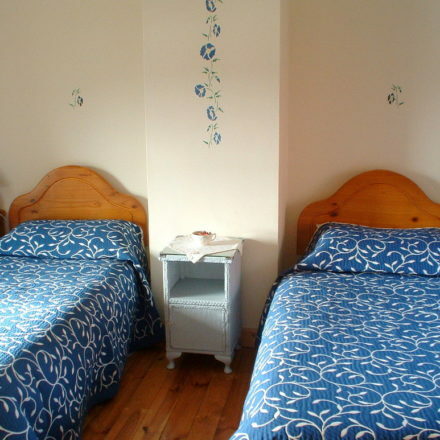 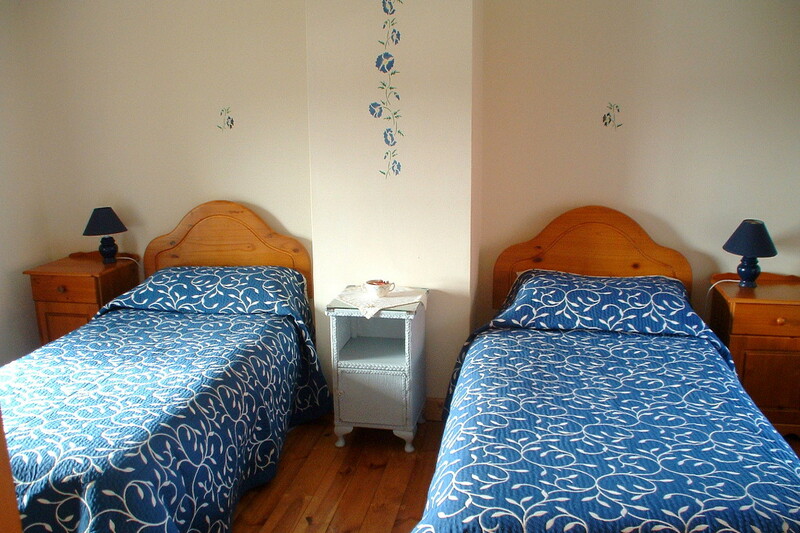 Bedroom 2 has twin beds and it also has delightful garden and countryside views. 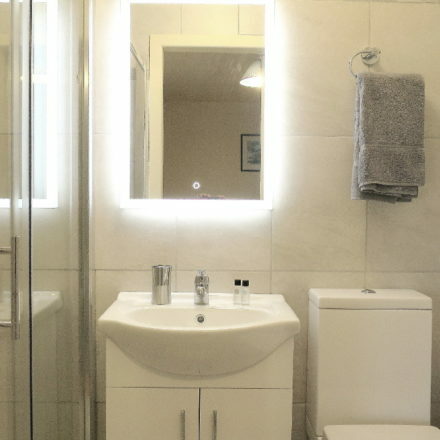 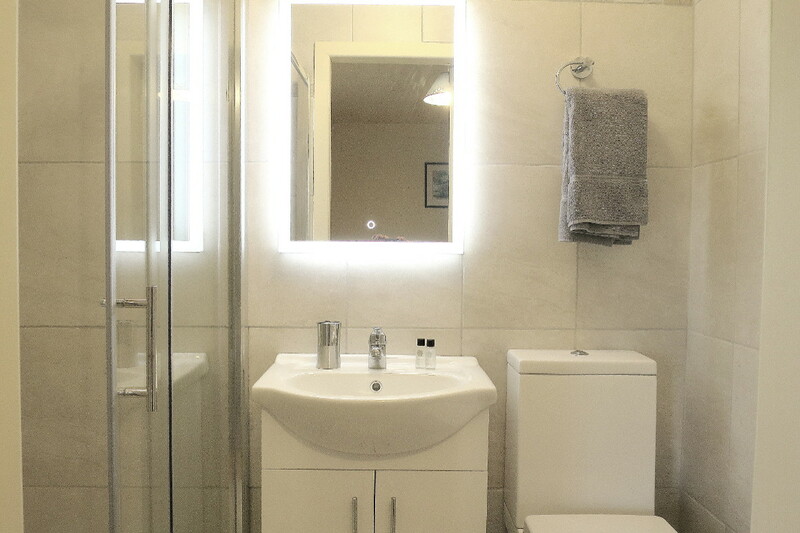 The family bathroom, located beside the twin bedroom, has a large shower cubicle with a rainwater and hand shower, a toilet and wash hand basin with vanity unit and a demisting mirror. 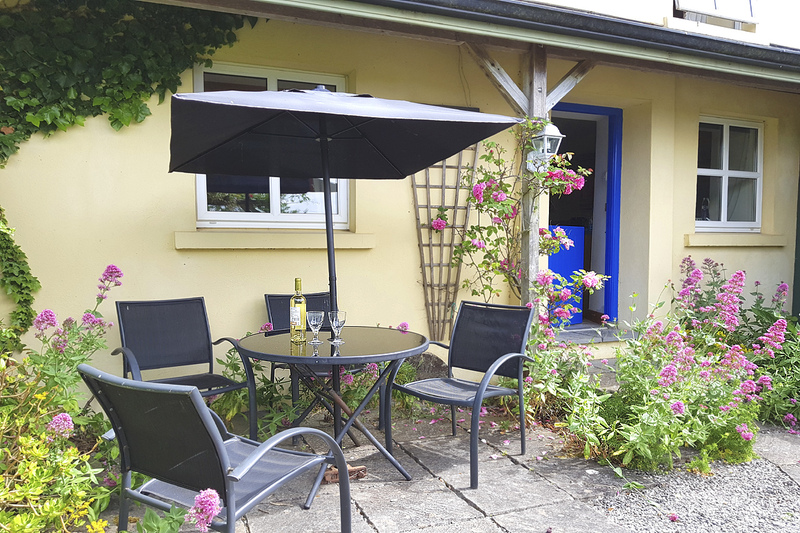 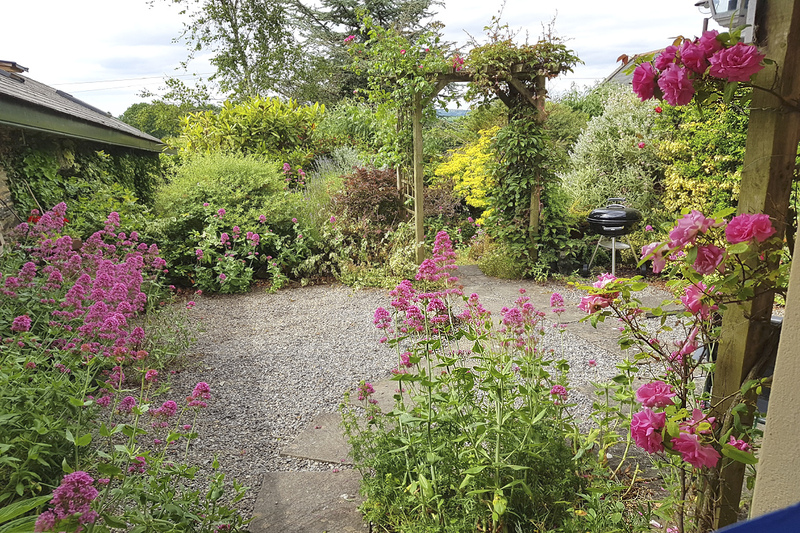 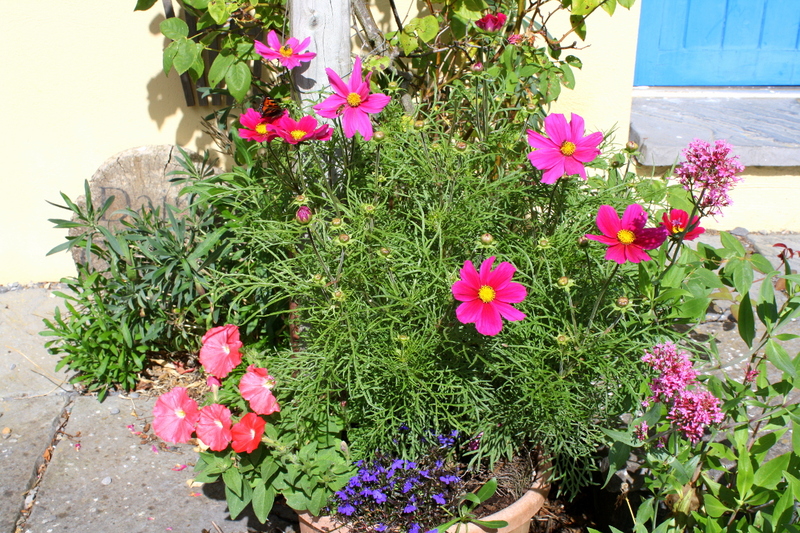 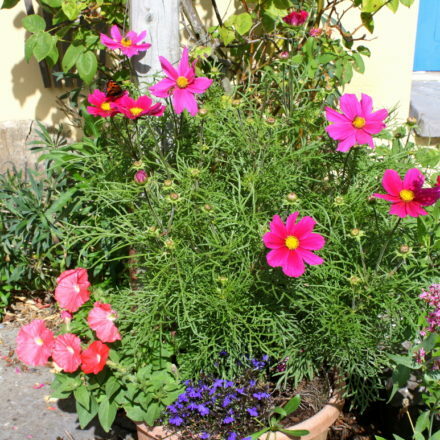 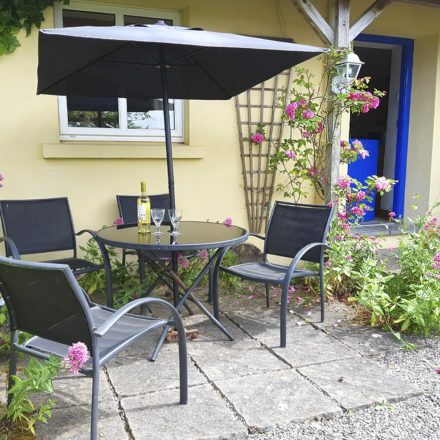 This lovely 2 bedroom self catering cottage is one of four cottages situated in a prize-winning courtyard garden and it has its own south-facing private patio with garden furniture, parasol and BBQ, the perfect place to relax and rewind.